Susan Anderson has been with our office since 2010. 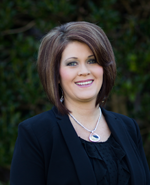 She is licensed in Property, Casualty, Life, and Health and specializes in all areas of Personal Lines Insurance. She currently lives in Lenoir City with Jeff Anderson, her husband of 15 years, and her two sons, Ethan 14, and Evan 11. When Susan is away from the office she enjoys watching her sons play baseball. Ethan plays for Lenoir City High School and Evan plays for Dr. K’s Baseball Academy in Maryville, TN. She is involved with a local animal rescue, Roane County Paws, spreading awareness about animal welfare and helping with abandoned and abused pets in the area. This year Susan began her studies with Bethel University’s College of Professional Studies where she will receive her Bachelor’s in Business Management and will later pursue her MBA.